It's all about that roster depth. Even without the injured Andre-Pierre Gignac, Tigres manager Ricardo "Tuca" Ferretti can still rely on a very deep squad that should have no problems in the early stages of the knockout round. It wouldn't be much of a surprise if Tigres' various options in the attack rack up plenty of goals in the tournament. Ferretti still has to fine-tune his backline. The manager has appeared unsure about his preference for either a 3-man or 4-man defense. In the recent 3-2 win over Necaxa last Saturday, Tigres struggled with the 17 shots that the opposition launched. There are plenty of options to select, but Javier Aquino can still find a way to stand out. At his best, the pacey winger is easily able to break down any defense through his speed and clever dribbling. The 29-year-old Mexican also regularly provides dangerous crosses and passes in the final third. Even though new manager Walter Centeno has only been at the helm for a few weeks, Saprissa shouldn't be taken lightly. The Costa Rican giants, who are no stranger to the CONCACAF competition, have had a positive start to 2019 with a current spot at 2nd in the Liga FPD table. High-powered Monterrey should easily advance to the CONCACAF Champions League quarterfinals with the likes of Rogelio Funes Mori leading the attack. Monterrey is charging into the tournament with the best attack in Liga MX. After just seven games into the 2019 Clausura season, Los Rayados have collected an impressive total of 20 goals. Leading the frontline is striker Rogelio Funes Mori, who has scored seven times this season. It's difficult to think of weaknesses for Monterrey, but if one had to be selected, the form of goalkeeper Marcelo Barovero should be brought up. The 34-year-old Argentine has already had a few noteworthy blunders in 2019. Funes Mori has emerged time and time again as the most important member of the attack. The striker is the current leading goalscorer in Liga MX and a focal point in the starting XI. The fact that Monterrey midfielder Aviles Hurtado recently stated that he doesn't "know anything about the team" says plenty about the obscurity of Alianza. Although the club was a finalist last season in the Salvadoran Primera Division, Alianza shouldn't be much of a threat to Monterrey. Los Guerreros have a midfield duo that many in Liga MX envy. With Jose Juan Vazquez taking charge as a defensive midfielder and Diego Valdes pushing the charge in a more attacking role, Santos have an exceptional core that loves to dictate the pace of most matches. Young midfield backup Ulises Rivas also has the talents to be a game-changer if needed as well. Santos' finishing leaves much to be desired. 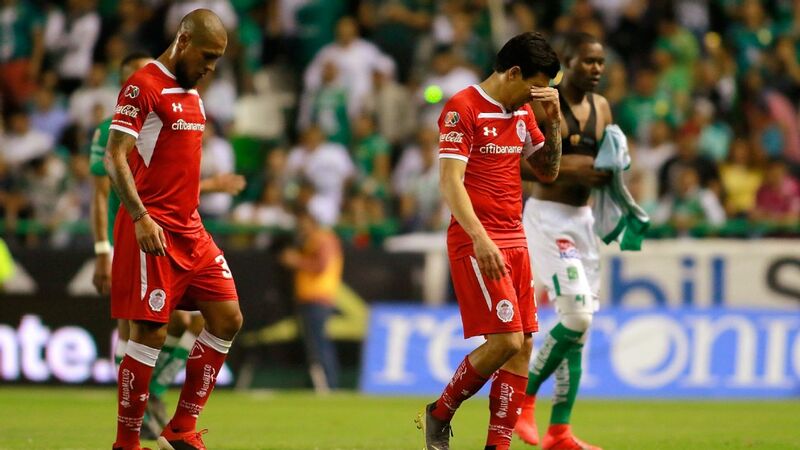 Although there has been a bit of bad luck -- they've hit the woodwork six times this season -- the worrisome tally of seven goals in seven Liga MX matches isn't a good sign in the early stages of 2019. After being left out of a recent gameday roster due to injury, star striker Julio Furch will be expected to return this week. The out-and-out forward will be sure to be a headache for opposition with his power and strength in the 18-yard box. Los Guerreros should be cautious with Marathon. 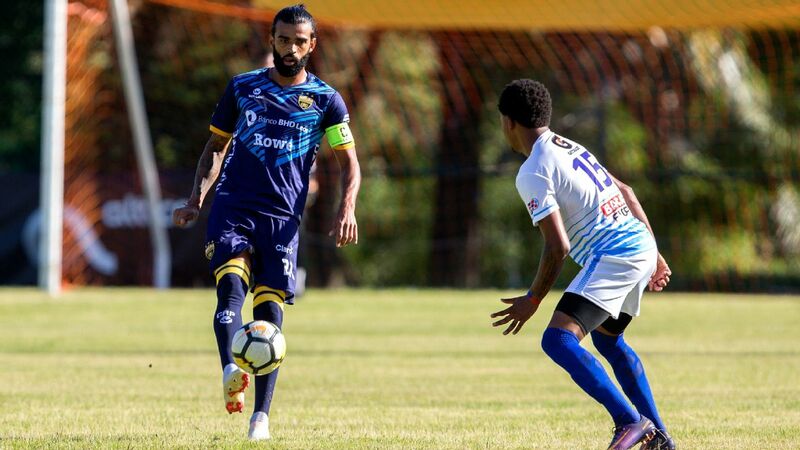 The club has had an undefeated start to Honduras' 2019 Clausura season and appears to be thriving under Colombian goalscorer Justin Arboleda. Of the four Liga MX clubs, Toluca probably have the toughest draw in this round, facing a rugged Sporting Kansas City side. Toluca has recently brought in a number of exciting reinforcements. New faces such as Federico Mancuello, Emmanuel Gigliotti and Jonatan Maidana all have the capabilities to make Los Diablos Rojos one of the most powerful teams in Mexico. Unfortunately, that "powerful" era of Toluca still needs more time to develop. The club is struggling in Liga MX and are looking vulnerable after shuffling through four losses and a draw in their last five matches. If problems continue to develop for Toluca, the team's best chance at avoiding an embarrassing early exit is through goalkeeper Alfredo Talavera. Despite the fact that the 36-year-old Mexican appears to be past his prime, Talavera remains as one of the top goalkeepers in Liga MX.